Samantha over at the ABC Christmas Challenge Blog is an enabler! In a good way! She convinced me that I had time to make another entry for the ABC Christmas Challenge F is for Freebie (with a sketch). So I did. I'm glad you did Heidi, because this is for sure adorable. Beautiful colouring and some very pretty dp. Thank you for sharing with us at ABC christmas Challenge. Beautiful card Heidi,I love the image and the colours. 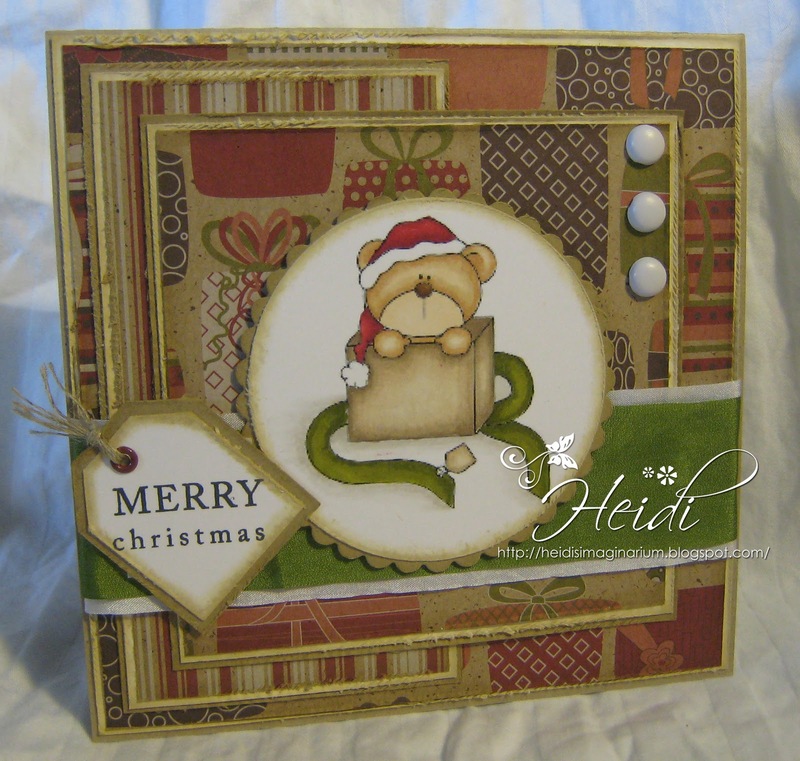 What a beautifully coloured Freebie which you have used from Stamp Fairy for our challenge and great take on our sketch too. Just love those papers too.